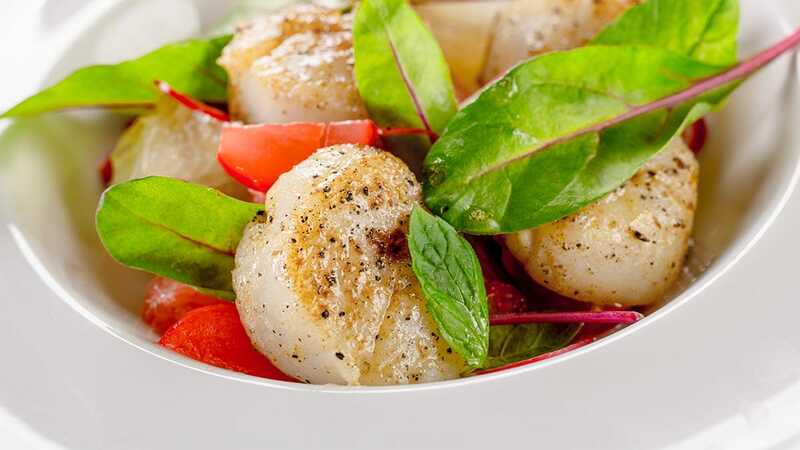 There’s nothing like a beautifully seared scallop, and a salad that’s bright and flavorful. 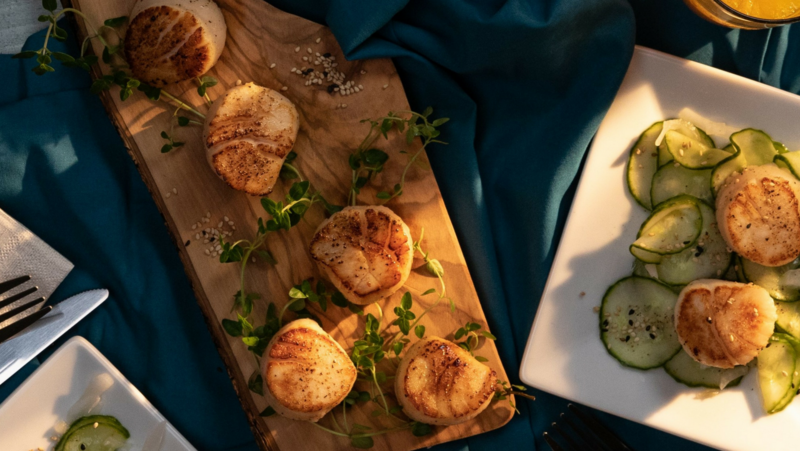 This recipe utilizes both to give the feel of summer all year round! Using a mandolin, slice cucumbers thinly. Toss with vinegar, ginger, sugar and salt, let stand. Put 2 tablespoons oil in a skillet, preferably nonstick, over medium-high heat. 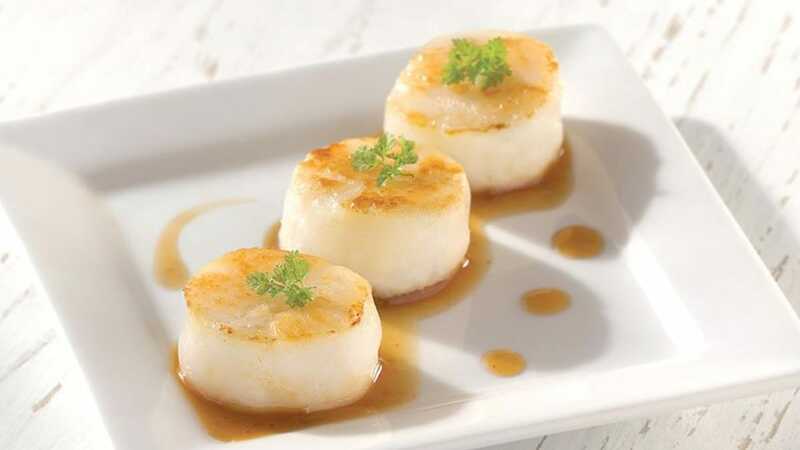 Wait a minute, then add scallops. Sear for about 2 minutes to a side, then remove to a plate. Turn heat to medium, add remaining oil and onions. Cook until onion softens, about 5 minutes. 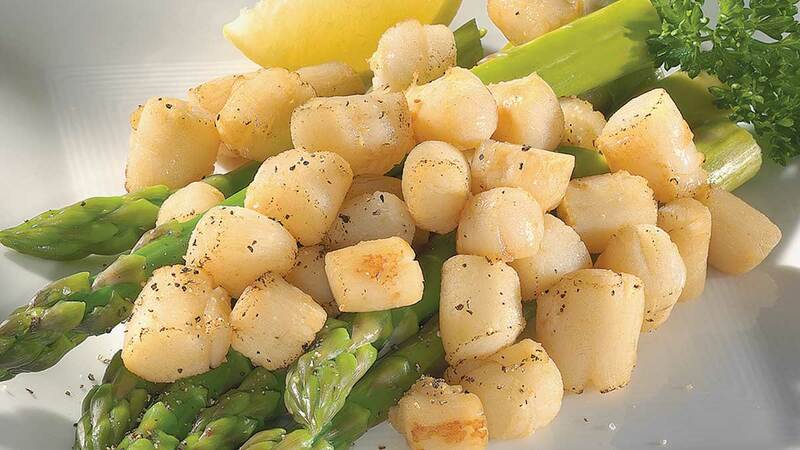 Stir onions into cucumbers, top with scallops, garnish with sesame seeds, and serve.